This flavorful broccoli quiche is made with frozen chopped broccoli, cheddar cheese, and mushrooms. Like most quiches, this one is versatile. Use Swiss cheese or a cheddar jack blend, or add some diced ham, cooked crumbled bacon, turkey, or chicken for a heartier dish. See the tips and variations for more add-in suggestions and substitution ideas. Use a deep dish frozen pie pastry, a ready-made refrigerated pastry, or homemade pastry. See this food processor pastry or the all-butter pastry — make a double batch of pastry and freeze a disk for another day. 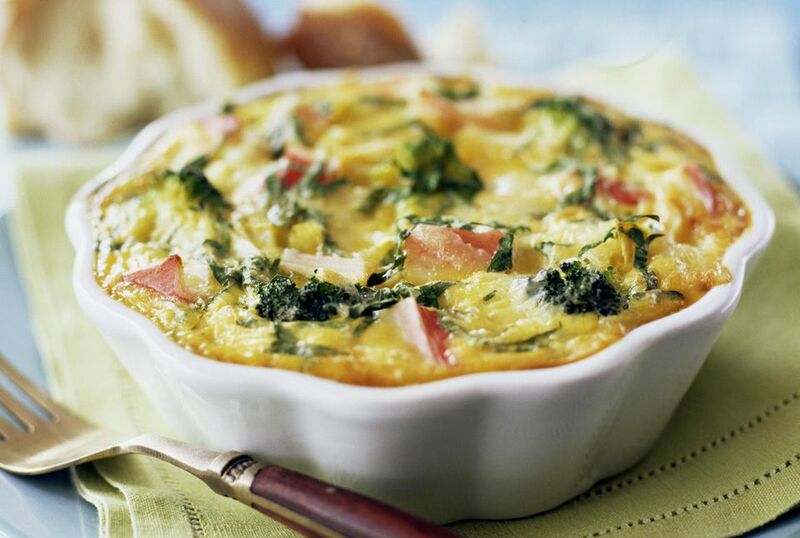 Serve this quiche for lunch, brunch or dinner, with soup or a salad. Fit the chilled and rolled pastry into the pie plate. Line the pastry with a sheet of foil and press lightly against the bottom and sides. Fill the shell with pie weights or dried beans. If you use a frozen deep dish pie crust, check the package for specific directions for partially baking. Bake the pie crust about 10 minutes or until bottom is slightly brown. Remove the pie weights and place the pie shell on a rack to cool. Steam the broccoli for 3 to 5 minutes, or just until tender; drain well. In a large bowl, combine the milk, eggs, melted butter or margarine, flour, salt, pepper and 3/4 cup cheese; whisk until well blended. Sprinkle remaining 1/4 cup of cheese over crust. Layer broccoli and mushrooms on cheese. Pour milk and egg mixture over all. Bake in the 375 F oven for 35 to 45 minutes or until a knife inserted in center comes out clean. Replace the frozen broccoli with fresh broccoli florets. Steam them in about an inch of water for about the same amount of time, or until just tender. Omit the mushrooms or replace with diced seeded tomatoes. Add 1/4 cup of green onion to the quiche along with the broccoli. Add about 1/2 cup of diced ham or some cooked crumbled bacon to the quiche after the cheese. Add 1/2 cup of diced cooked turkey or chicken to the quiche after the layer of cheese. Top the quiche with thinly sliced tomato just before it goes into the oven. Sprinkle the tomatoes with a few extra tablespoons of shredded cheese.